The Art Book Review, a Los Angeles-based compendium of reviews about books relating to the subject of art, is including a selection of Broken City Lab publications as part of “On the Road: Detroit“, a collaboration with Creative Rights, a legal service for creative folks based in Ann Arbor and Detroit, Michigan. 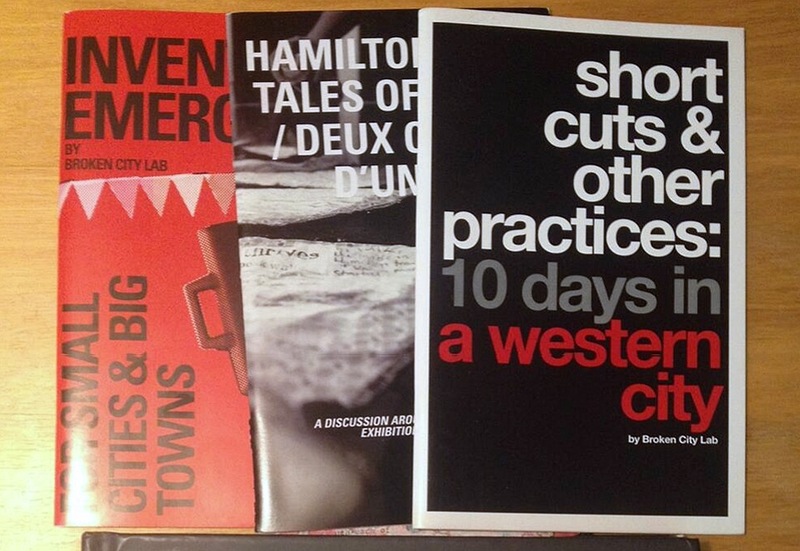 They are including three mini publications: Shortcuts and other Practices: 10 Days in a Western City, Hamilton: Two Tales of a City, and Invented Emergency (for Small Cities & Big Towns). Also included is the hardcover publication How to Forget the Border Completely, which investigated the numerous ways one could approach the Windsor-Detroit border as a concept, an object, and an obstacle. Next PostNext Neighbourhood Spaces Artists-in-Residence Announced, Lisa Lipton Starts this Week!